The Women for Shepherd Fall 2018 event will feature Alyssa Imes ʼ18, creator of the newly installed monarch butterfly sculpture located at historic Popodicon. 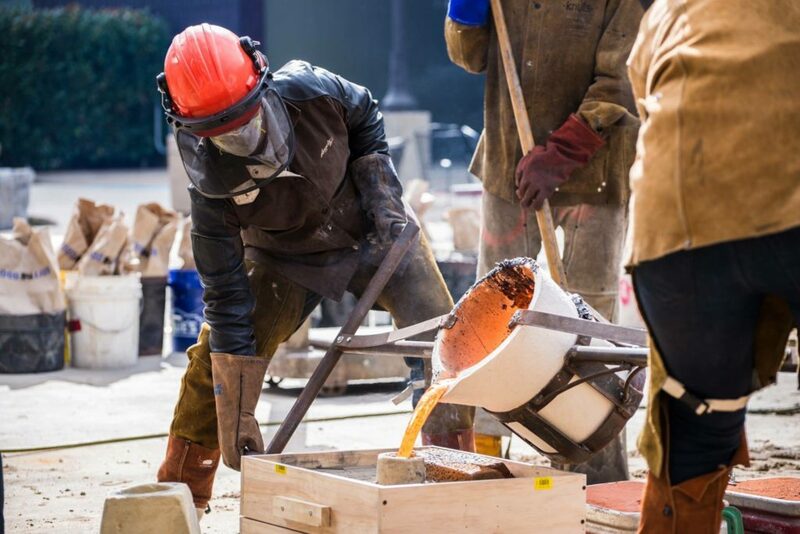 Imes will conduct a metal pour with her iron casting furnace. The pour will be in conjunction with a tour of the FASTEnER Lab, which will showcase an exhibit featuring works by Alyssa and her team. Tickets are $25, which includes a scratch block and metal casting keepsake. A light reception will be served. Tickets can be reserved through Friday, October 12 by contacting Meg Peterson, director of donor relations, at 304-876-5021, mpeterso@shepherd.edu. or going online.